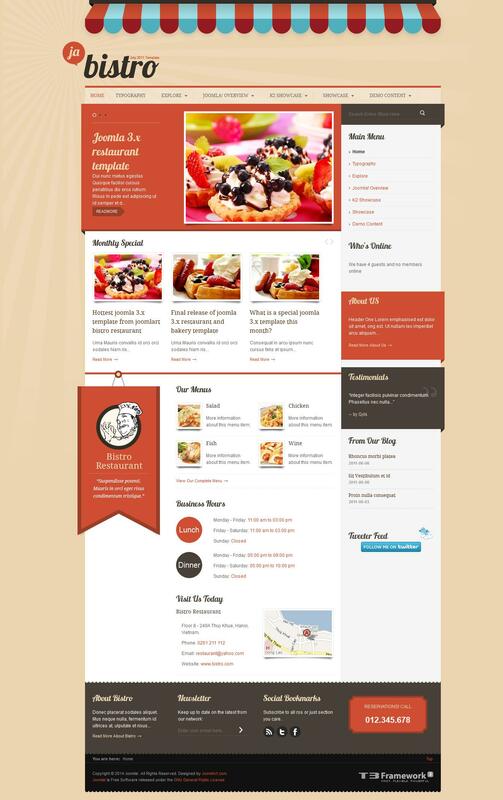 Template from the design studio Joomlart JA Bistro, which was introduced in July, is a template online restaurant. JA Bistro - a fresh look at Joomla-site pleasing to the eye with 7 amazing color schemes with K2 component support (only Joomla 1.5). Although its use is not limited to the restaurant-themed template can be used for various purposes ranging from corporate site to personal blog site. Powered by T3 Framework version 2 and is compatible with Joomla 2.5. JA Bistro - a great choice for those who want to tell users about the global network for new business opportunities.